We’re famous for hosting cricket’s most prestigious contests but our true strength lies beyond the boundary. Company conferences, private parties and monthly meetings – we are perfectly placed to make your event a runaway success. Our staff are long-serving and our clients love us. We pride ourselves on being accommodating, pro-active and easy to deal with. Parking on site is free, secure and close to the door. We’ve also got space for helicopter landings as Prince Charles will testify. The techies tell us you can download at 83.28Mbps and upload at 59.17Mbps. That’s lightning-quick. Did you hear the one about the two Welshmen, the Frenchman and the Italian? Executive Chef John Chapman and his lauded brigade have forged an exceptional reputation for the consistent excellence of their cuisine as well as the use of local and seasonal produce. We’ve got the best back garden in Cardiff with a manicured lawn that’s fit to stage international cricket (which we frequently do). Oh, and we’re also surrounded by Bute Park, Sophia Gardens and Pontcanna Fields. Sustainable sourcing, a commitment to recycling and a partnership with Keep Wales Tidy – we are caring corporate citizens. Our Sophia Hall can host a banquet for 550 or seat 800 theatre-style. We’ve got six additional lounges with capacities in excess of 100 and a further 23 executive boxes perfect for break-outs. We’ll even let you put a marquee on the lawn. A Rugby World Cup Party for 1,000 SSE Rewards customers, a 3 month-long training programme for John Lewis and The Welsh Conservative Party Spring Conference. We’re in your corner when its time to shine. We’re in central Cardiff. CF11 9XR to be exact – less than one mile from Cardiff Central Station and five miles from junction 32 of the M4. No hidden extras, no nasty surprises. Just clear, consistent pricing for the things you need to manage your event. Need a quick answer to get your meeting, conference or event on track? 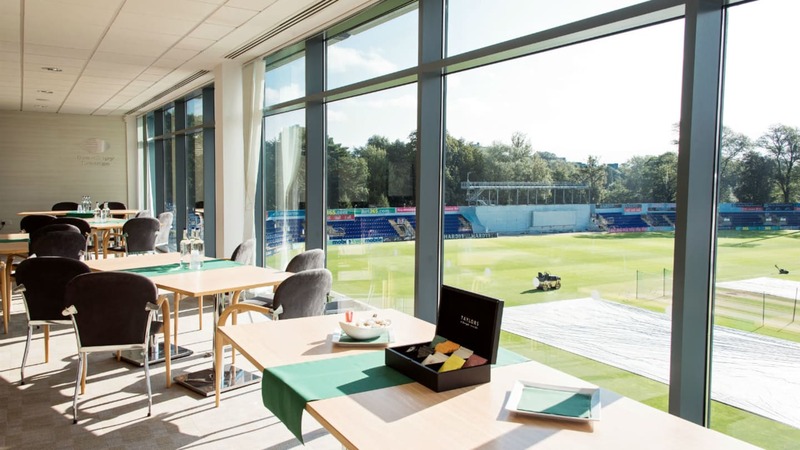 Get in touch with our friendly events team: 02920 419 359 / sales@glamorgancricket.co.uk.